Marrakech – The 11th Arab Conference on energy, initiated under the theme “Energy and Arab cooperation”, kicked off Monday in Marrakech, with the participation of ministers and officials from the sector. Held under the high patronage of HM King Mohammed VI, this four-day meeting, which also brings together representatives from the International Energy Agency (IEA), the Arab League, Arab and world energy organizations, experts and specialists in oil industry and energy from Arab countries, banks and financial institutions working on energy issues, will examine energy situation, its recent and future evolutions as well as its impact on the energy sector in the Arab world. Organized by the ministry of Energy, Mining and Sustainable Development, the Arab Fund for Economic and Social Development, the Arab League, the Organization of Arab Petroleum Exporting Countries (OAPEC) and the Arab Industrial Development and Mining Organization (OADIM), the participants in the conference will also tackle energy security as a global partnership and necessary investments for the development of the energy sector in Arab countries. 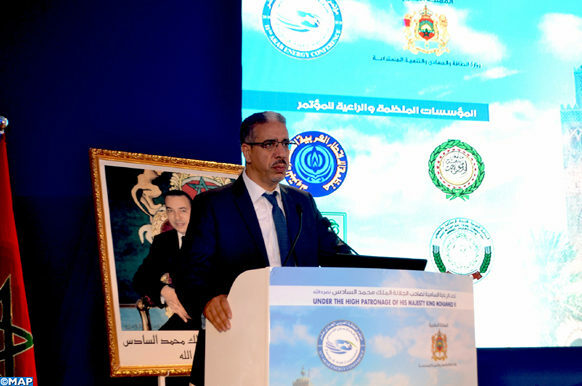 Speaking at the opening ceremony of this conference, minister of Energy, Mining and Sustainable Development, Aziz Rabbah, highlighted the structural changes and strategic orientations adopted by Morocco in the energy sector, through innovative projects in this area, as well as the kingdom’s progress in sustainable development and the issues of environment and climate. 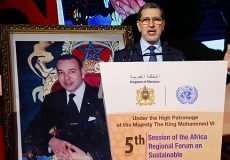 He also stressed the importance of Morocco’s achievements in the field of renewable energies (solar, wind and hydroelectric energy) and the increase in the volume of the national and international private sector’s investment in this sector, as well as the progress made in electricity production, in addition to the large-scale projects in the field of gas.